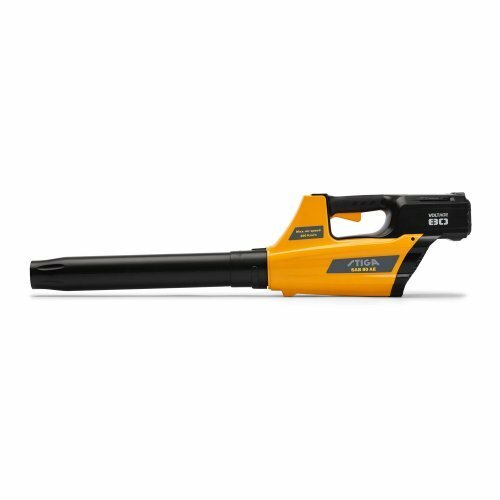 The most enjoyable and easiest way of tidying away leaves and other lightweight garden debris is with the Voltage80 SAB 80 AE Blower. The 80V Lithium-Ion battery delivers power to the highly efficient 750W DigiTorq brushless motor. The axial concept allows this blower to work as a jet turbine, with the air passing directly through the engine fan producing an outstanding 56m/s maximum air speed. A variety of batteries are available; the lighter 2.5Ah is recommended for general use. For longer working times 4Ah and 5Ah capacities are available along with a harness for maximum ease of use.